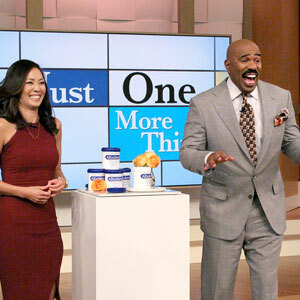 The Steve Harvey Show, a nationally syndicated talk-variety show, featured Albolene Moisturizing Cleanser during the Just One More Thing segment in January 2016. Popular producer, host and lifestyle expert Diane Mizota informed viewers about Albolene and explained how to use the product for the best results. And here’s a fun fact: Steve’s wife Marjorie is a huge fan of Albolene and swears by it! You can watch the entire clip below.